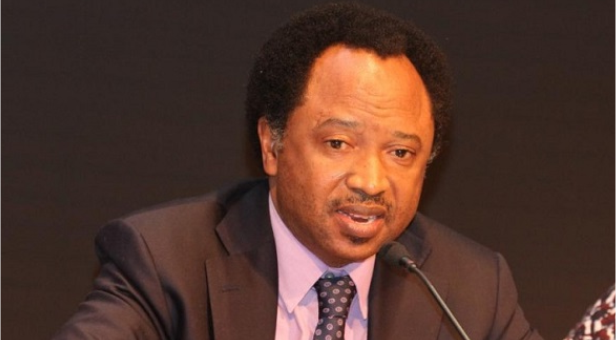 Shehu Sani, chairman, senate committee on local and foreign debt, has advised Nasir el-Rufai, governor of Kaduna, to use the “meagre” resources available to run the state. In an interview with NAN on Monday, the senator wondered why governors could not use distributions from the excess crude account and Paris Club Refund to execute projects. He said the senate rejected the Kaduna government’s request for a $350 million loan due to the state’s high debt profile. The senate rejected the request on March 29, following a strong opposition from the three lawmakers representing the state at the upper legislative chamber. Last week, el-Rufai described the senators as enemies of the state, saying their action showed that they are “useless”. “The senators from the state who worked against the World Bank loan are useless; they came out and said this loan should not be given. What is their reason for rejecting the loan? It is because they are haters of the masses in Kaduna state,” he had said. He added that senators from the state were not privy to the loan, and that contributed to its unanimous rejection. “How can you be governor of a state and all your three senators, including the one from PDP, are opposed to it?” he asked. “I have never heard of it. I have treated cases of loan here as the chairman of committee on local and foreign debt. There were cases where one senator is opposed to it but two are for it or the other way round. As a governor of a state, if you are desirous of a loan, the first people you should consult are the legislators; he did not do that. Sani said approving the loan for a state with a high debt profile will put a lot of burden on future generations. “We rejected the loan to save the children of Kaduna state from the slavery of debt that will overtake them in the future,” he said. “Most political elite leave behind for their children, hotels, houses, mansions and estates, but they leave mountains of debts for the children of the poor. I do not see the reason why state governors cannot use the Paris Refund, the bailout funds and Excess Crude Account distributions to execute their projects and programmes. Why must they go for loans? He said that as chairman of the committee on loans, he owed it a duty to the state and all other states to ensure that states that were in debt did not acquire more debts. “It is my duty as the chairman of the committee to do what I need to do to save a state that is already in so much debt,” he said. “My state is indebted to the tune of about 225 million dollars, the second most indebted state in the country and you tell me to approve another loan of 350 million dollar.